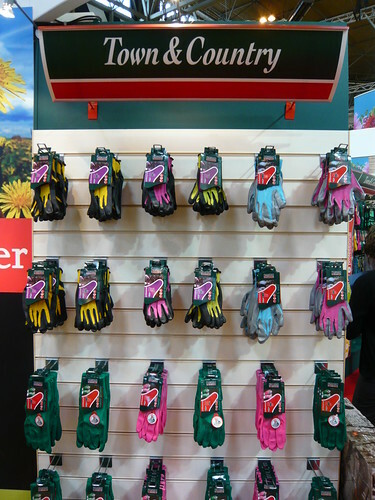 Gardening gloves come in a variety of colours and sizes. As I found out at the Glee show in the NEC on from Sunday to Wednesday this week the colours and sizes also relates to the number of manufacturers and resellers. I prefer to do as much gardening as possible without any gloves. When lifting or moving something slippy or awkward to hold gloves may give you extra purchase. I collect free horse manure from a local stables and when it is wet and ripe I have been known to wear some gloves. Freezing weather should be a time for gloves but I find they generally get in the way. 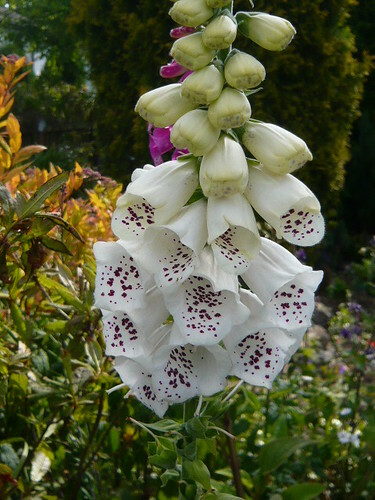 You knew I couldn’t resist a terrible pun and gloves in the garden, having no palms but some hand-some fox-gloves I opted for this picture – wait til I get my mits on the person who gave me my sense of humour. I have fingered it out at last a finger stall will protect a damaged finger better than an elastoplast.